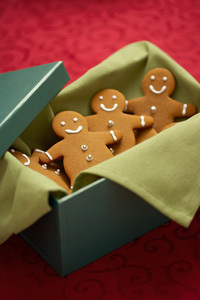 Arrange to spend time together with food or an activity in lieu of gifts. How can you fit all this extra bonding time into your busy holiday schedule? Your hours spent shopping for gifts will be cut by a fraction, and your social time should be much more enjoyable and stress free to boot. Give your budget a break and don’t equate the expense of the gift with how much you love the person. A meaningful gift that you found in October for 50% off is much better than paying full price at the last minute or even a full value gift card for the store you bought it from. Don’t think you have to spend your full budget for each person, instead look at it like a challenge to do it for less. When you budget $50 and find a nice gift for $30, give yourself a pat on the back and put the $20 savings on your credit card debt. Don’t add something else worth $20 to the gift, and don’t look at it as overflow to spend on other gifts. 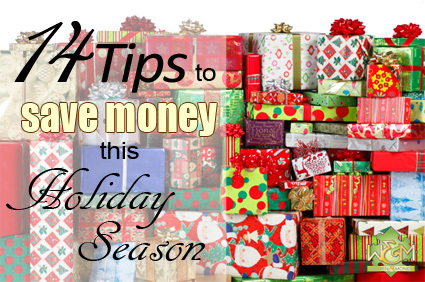 The goal is to save money on each person and also save you money overall for the whole holiday season. If you are a bargain hunter, don’t wait for holiday sales as they usually never match the pre-holiday season sales you can find before the shopping fervor begins. If you’re a crafty person, make hand-make gifts and home-made treats, which people love to receive and cost a fraction of retail items. To make your gift budget go further, avoid giving gift cards and money. Find gifts that make more of an impact than just their monetary value, and none will be the wiser but your happy bank account. 8. Shop online. You can easily comparison shop and find great deals without the cost of gas, parking, eating out, and the stress of crowds and time constraints. Many online merchants even offer free shipping when you spend a certain amount, so find sites where you can purchase multiple gifts at once, and give yourself plenty of time for the free shipping option to arrive before the big day. Also make sure the site has a secure server to protect your information, and check out their return policy to make sure you feel safe and comfortable purchasing online. Of course, you will need to charge your credit card to shop online which goes against the #1 rule for saving money this season: use cash. You do not want to be paying interest on your gifts well after they’re given and throw all of your savings out the window. So make sure you have the funds available to pay the bill, and really consider pre-paying on your card so you won’t accidentally spend your money on something else.